Jaeger le-Coultre is one of the most respected Swiss watch brand in the history of watchmaking, alongside with Patek Philippe, Audemars Piguet, and Vacheron Constantine. But, the brand Jaeger le-Coultre is the most underrated among them. 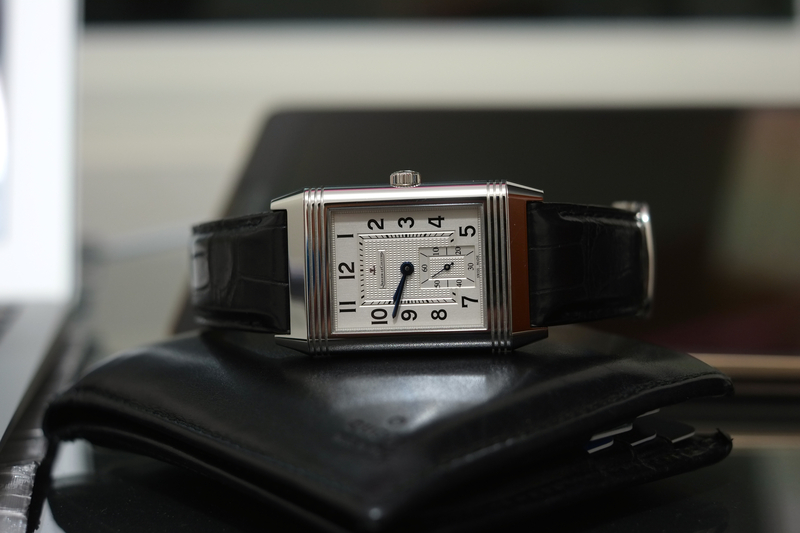 PP, AP, and VC all have a sky-high price tag with the most basic model cost over $10.000, while Jaeger le-Coultre Reverso classic could be obtained for $5000. Nevertheless, I believe JLC will soon increase its price to match their counterparts. JLC used to supply the movement of its counterparts and continue to release a new breakthrough every year, recently with its tourbillion. 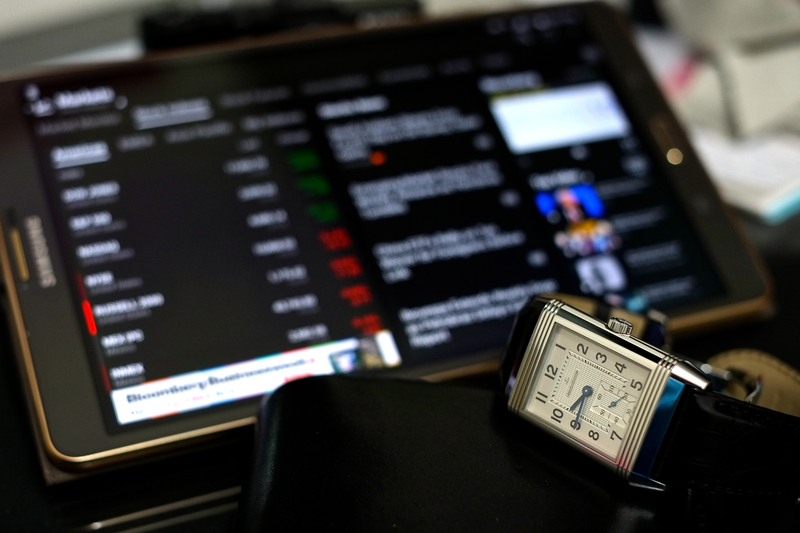 I bought my Reverso 976 earlier in 2014 to commemorate my first business in stock investing and portfolio management with my father. Reverso itself is a dress watch, with its 30m water resistant rating, it is not suitable even for swimming (and the alligator strap?). 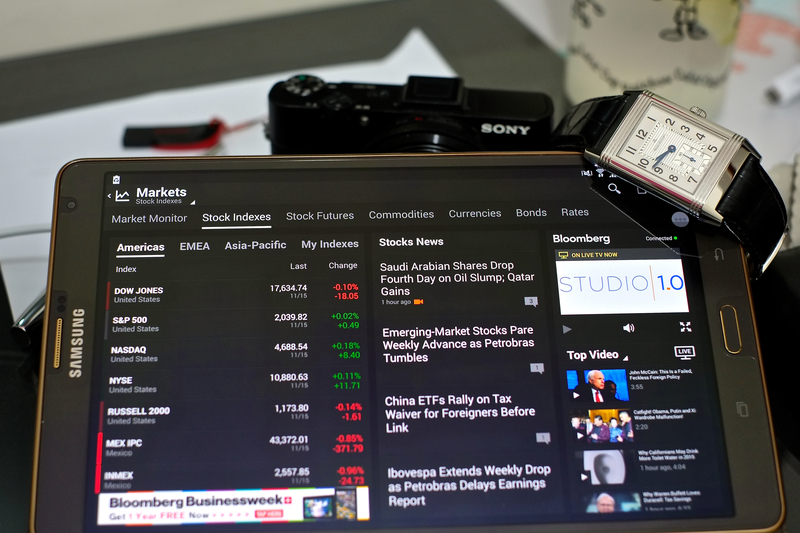 It meant to be used as an office and formal occasion, I use it often for special occasion and when attending seminar. I had two dive watch (Tag Heuer Aquaracer and Omega Seamaster) for travel, sports, water activity, and daily wear. As a dress watch, I chose white dial over black dial JLC Reverso (Reverso 976 doesn’t have black dial though, but other reverso does). The arabic number could be read easily with decent lighting, the second hand dial is quite small though, but with extra constriction of your eye you could read it. 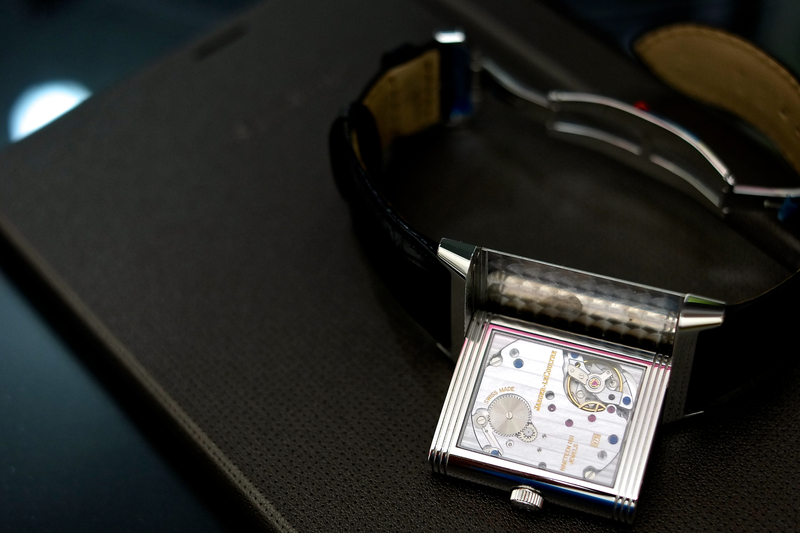 The movement Reverso 976 using is calibre 976 with 48 hours power reserve, mind you that this is mechanical wound watch. I wound the watch everyday about 100 for the first time, then 75 every morning for maintenance. It is ridiculously accurate -+1 second/day, well within COSC. 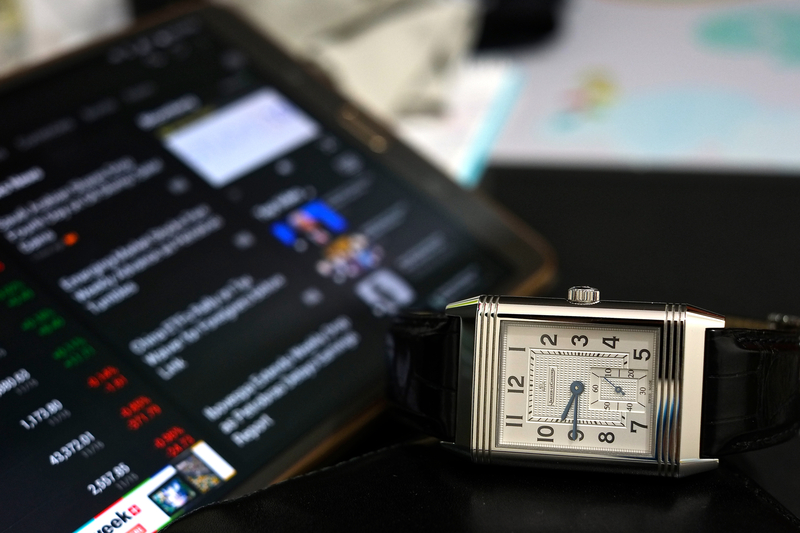 Reverso 976 is a little big in my wrist, but I like the model so I thought when my body is fully grown it would fit nicely. 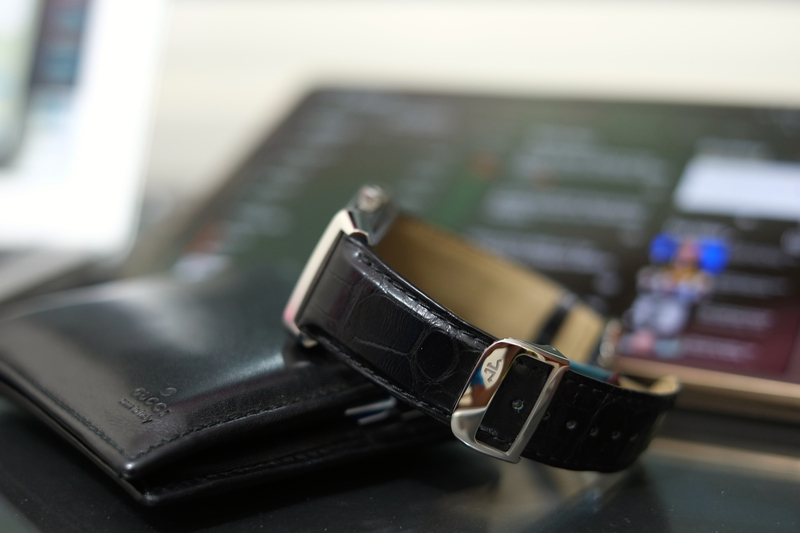 The alligator strap is comfortable as well as the lug and butterfly clasp. 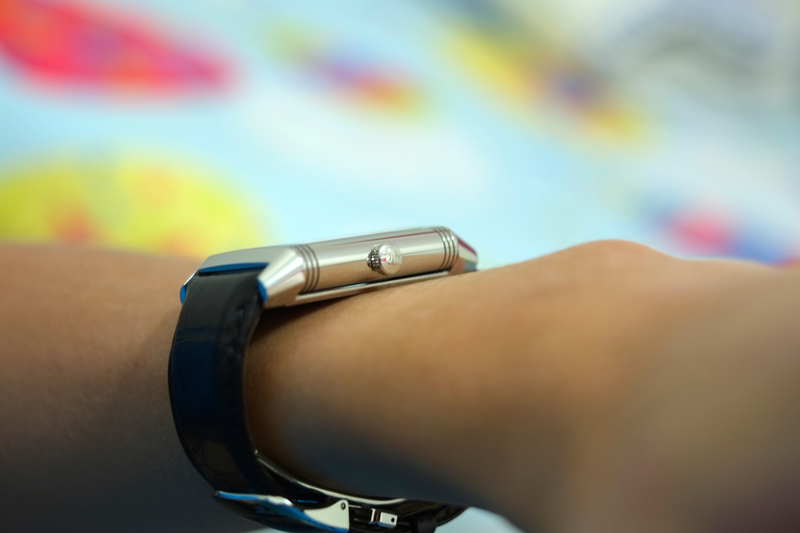 The watch slips nicely under shirt cuff, but you have to extra cautious to not to scratch it with your cuff button. 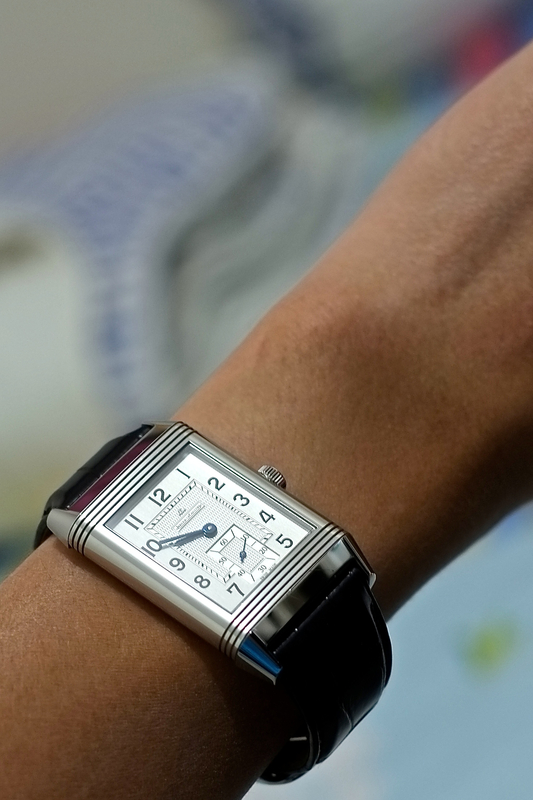 The unique feature Reverso 976 has, and the reason I chose this model over the other reverse is the transparent case back, or JLC called it the “recto” side. 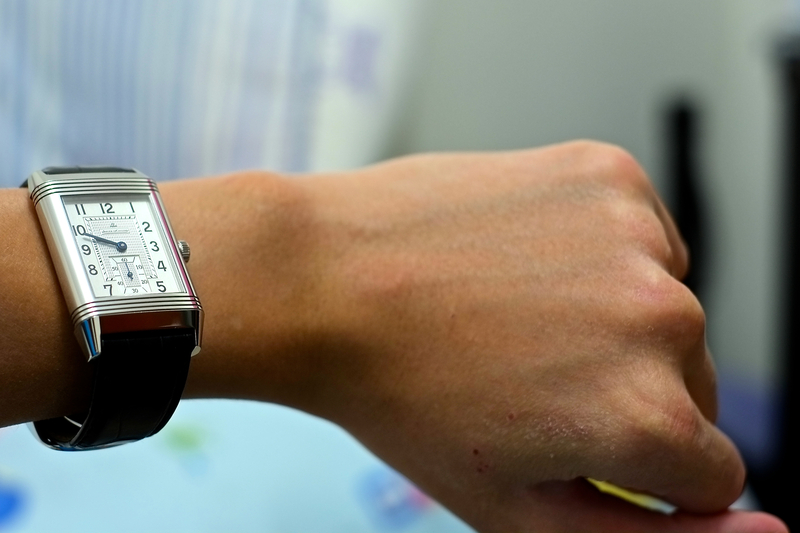 You could see the movement, and when you wound the watch there’s a tiny disc moving too. 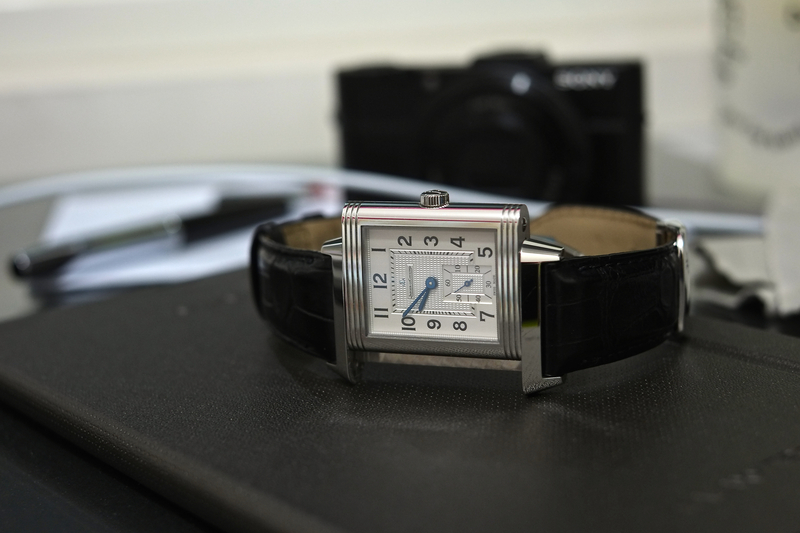 Not just another watch, I like to flip my reverso into the case-back side and admire the movement for minute or so. To me, it serve as an indicator. When I had the watch side on that means I’m on business, and when I flipped it that means I’m had a free time. I bought the watch new for $5800 (MSRP $8650) in my AD. It is very cheap compared with other AD or online shop. Overall I’m satisfied with my purchase and I believe it would be nice when I’m older later to have a quality watch with history and sentimental value to me. If you are looking for a heirloom or celebrating an occasion in your life with a watch to remember, this might be it. 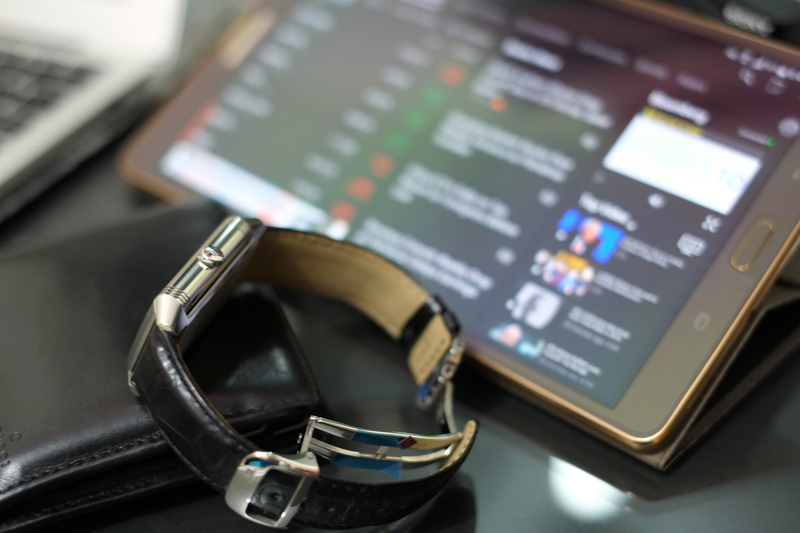 This entry was posted in Watches and tagged best, dress watch, jaeger, jlc, le-coultre, luxury, patek philippe, Reverso, reverso 976, review, swiss, Watch. Bookmark the permalink.